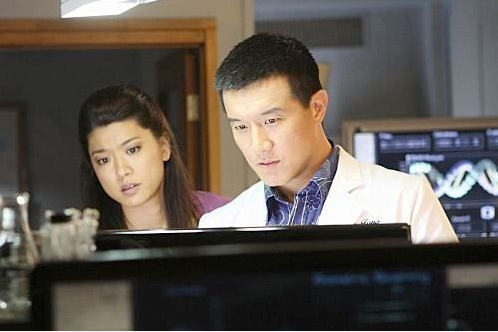 Grace Park and Brian Yang on "Hawaii 5-0." Photo credit: CBS. "I’m very much about promoting Asian stories, Asian faces, Asian storytellers." You may know him as forensic scientist Charlie Fong in Hawaii Five-0, but actor Brian Yang has put in hours and sweat into bringing Asian American stories to TV and the big screen as a producer. 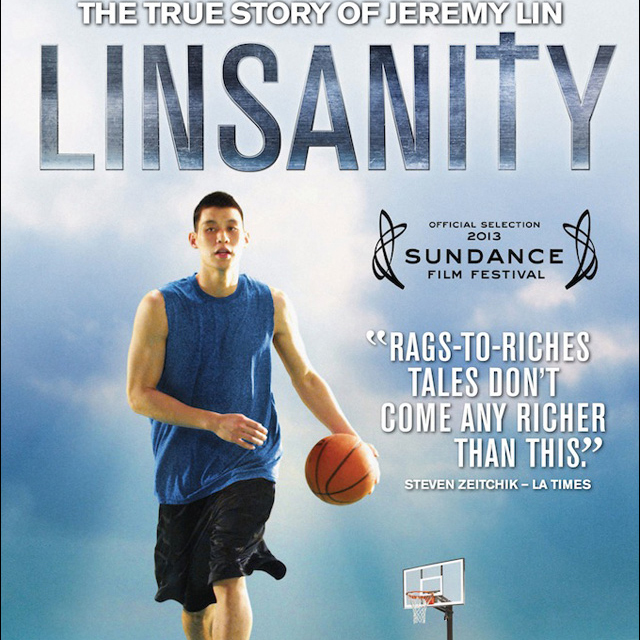 Yang produced Linsanity, a documentary directed by Evan Jackson Leong about basketball phenom Jeremy Lin. Other projects include producing Annie Undocumented, a Web series about young Asian Americans who are undocumented and Brittney Griner: Lifesize, about WNBA star Brittney Griner in the award-winning “ESPN Nine for IX Shorts” series. 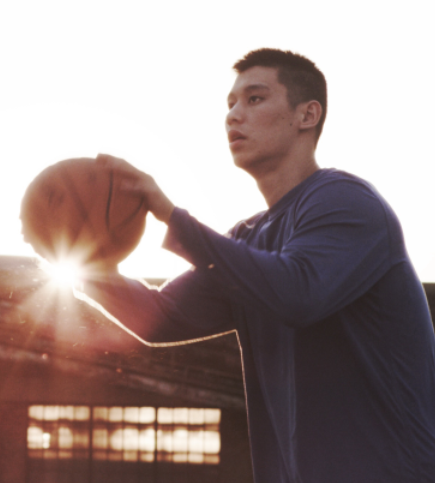 Yang and Leong will team up again on a feature film, Snakehead, a project that actually began before Linsanity. Born in Columbus, Ohio to Taiwanese immigrant parents, he moved to California when he was five and was raised in the Bay Area. 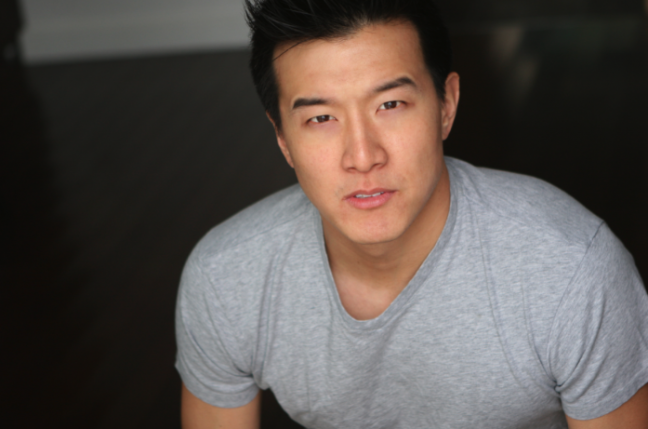 Yang talks about how his undergraduate years at UC Berkeley changed his life path by being cast as an extra on The Joy Luck Club. He also talks about switching from the corporate world to making producing and acting a career. Well, as a producer, which is what I spend a lot more of my time doing, I try to get behind projects that are ideally universal. I like and enjoy finding stories with grit, things that are based on reality. I have a lot of scripts in development, and that includes documentary work and the narrative side, developing stories that are maybe inspired by a true event, or some social issue that we as a society deal with today that is [based on truth] and trying to kind of open up people’s minds to what’s going on in these worlds. I did something about undocumented immigration last year with Daniel Hsia, the filmmaker behind Shanghai Calling. We’re still working on that. Obviously, I’m very much about promoting Asian stories, Asian faces, Asian storytellers. I’m very mindful of advancing our cause, if you will. I grew up in a time when, my first exposure to Asian American cinema were through films like Yellow, Shopping for Fangs, and 100 Percent. I try to find things that are universal. Stories that have pure Asian American casts are just such a hard sell. I’ve been in involved in those, believe you me. I’m really all about trying to find things that are inclusive of all kinds of people. But definitely having a character or storyline that is prominent and doesn’t just marginalize Asian Americans as we so often see in mainstream television or cinema. As an actor, it’s a little bit different because I’m at the mercy of other people. Obviously, I’d love to be involved in projects where it’s not a stereotype, someone who’s integral to the storyline, but that isn’t always the case as an actor. At least an actor that isn’t A-list or isn’t able to call the shots. As you advance in your acting career, I should hope, you can become more selective as you do more work. There are still so many roles in Hollywood that are written and offered to Asian Americans, that are, I’ll be honest, like, “Really? Is this still happening?” Things have certainly changed, but there’s still a lot of crap out there. Photo courtesy of Brian Yang. Could you talk about how you got into acting and producing? Yeah, so, I went to Cal—go Bears! I was a bio major who did a lot of theater. I fell into the theater department kind of on a fluke. Early on in my years at Cal, The Joy Luck Club was being filmed on my campus and a friend of mine at the time was actually in charge of background casting. He was like, “Hey, Brian, you want to make $50 a day, stand around and be an extra in the movie?” I was like, Joy Luck Club? Everyone knew that book. “They’re making a movie? $50? Free food? Sign me up!” I wound up just spending two days on set. Really getting drawn into this world. What are these actors doing? My scenes were with Russell Wong. I was just really curious about what the world of filmmaking was. I signed up for a dramatic arts class the next semester at Cal and got bit by the bug. That’s how it started. The year after I graduated Cal, I’d done a bunch of plays and whatnot, I moved out to Los Angeles, because I thought I wanted to purse this so-called Hollywood dream. I got an internship at a production company, actually producing, in a very cursory way. As an intern, you read scripts, answer phones, but it definitely put in my mind like, this is how a movie is put together. That’s not when I became a producer, but that’s when I thought, I’d love to explore some more down the road. My mind was more on acting then. Then fast forward years later, I wind up moving to the East Coast. I’ve been based in New York for well over 12/13 years. At some point along the road, I started producing. I started my production company, which is called 408 Films. Got involved in some small indie features off the bat. I just learned by doing as a producer. I took a couple of classes at NYU Extension, that kind of thing I remember bothering my friend Karin Chien a lot, the indie film producer. She was really great, instrumental in helping me understand what it really means to be a film producer. I always say producing is sort of like project management in the corporate world. So it’s applying those skills. Because I did hold down a day job in the private sector for a long time while I was in New York, before I became a full-time film producer/actor. When the economy tanked in 2007, I made a life choice to delve into this world full time. Have your parents been supportive of your acting and filmmaking? Well, I’m sure a lot of Asian filmmakers and actors probably share the same thing. My parents have adjusted, let’s say, over the years and now do support, mainly because of the fact that I’m doing this on my own. They were worried like any other parents would be coming out of college. We had our battles. I think part of it is holding down a day job in New York for so long. 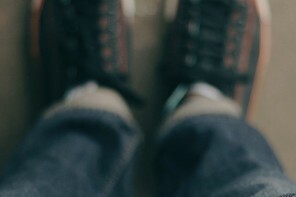 I kept my foot in that world but always had one looking out, wanting to do this. During that period, they couldn’t say anything because I was working. What were some of the projects that made them proud? Prior to that as an actor, I worked on a couple projects where they were big supporters of. The first one was Saving Face. I had a fun supporting role, playing [Joan Chen’s] secret love interest. Because they grew up loving Joan Chen. And also landing “Hawaii Five-0″ and getting to work on that for the last five years has been a fun ride. The first iteration, which was in the ’70s and ’80s, they were like, “We love that show.” My parents are lovely people. They’re just Chinese (laughs). Are there other projects you’re working on that you can tell us about? I am currently working on a project called Snakehead with Director Evan Jackson Leong. We made Linsanity together. We’re developing that as we speak. It’s a narrative feature, Evan’s debut as a narrative director. That’s a long time coming. That’s something he’s been working on for eight years in terms of the story’s script. And Linsanity kind of sidetracked him from doing it for two to three years. We developed this series last year called Annie Undocumented. We shot a pilot of it and we’re taking it around to realize it as something more sustainable and serial and episodic, like a Web series or TV show even. I do a lot of work in the Far East as well. In 2007 when I lost my corporate job, one of the first things I did was, I went to China with my friend Karin Chien. We started off in Beijing. I took a two and a half month exploratory trip all throughout Asia, where all the entertainment hubs are: Hong Kong, Singapore, Shanghai, Taiwan and Beijing. More so the Chinese-speaking territories because I speak Mandarin. One of the other projects I’m working on is a Chinese film that will be shot in the U.S. The Chinese and U.S. intersection is to me something that’s very interesting. This interview has been edited for length and clarity. This interview is made possible by XFinity.